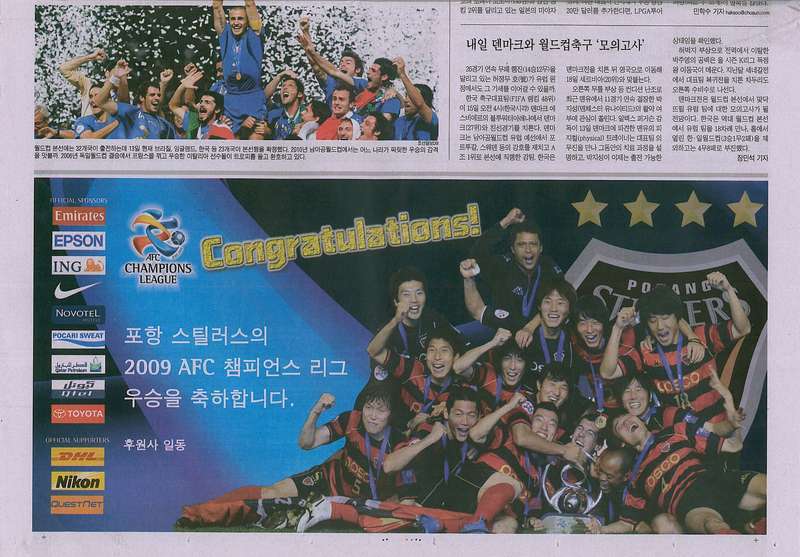 Half page (broadsheet) colour congratulations adverts placed in Korea’s highest circulated national newspaper “Chosun llbo” celebrating Korean side Pohang Steelers being crowned ACL Champions for 2009. Working with the World Sport Group in-house graphic designer we knocked off this design (and me the advertising negotiation) in just a day. Think we did an ok job to get something out there in such short time frame. This entry was posted in ACL, Publicity. Bookmark the permalink.